I suspect for many in Bexhill, local politics leave them cold, but most are aware of the inadequate services in Bexhill provided by Rother through the decisions of their Rother Cabinet (eg. parking, public toilets, face to face assistance at Bexhill Town Hall since the excellent Town Hall help centre was closed and of course, the loss of a Tourist Information Centre). Bexhill readers may be aware of a Rother consultation upon various options which Rother propose that might be provided to give a local voice and decision making arrangement in Bexhill for a number of service functions currently the responsibility of Rother and their Cabinet. Review from there, one can access details of each of Rother’s options. 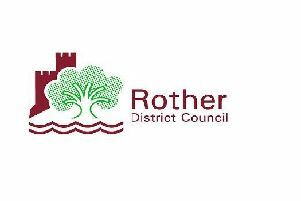 Most of Rother’s offered options involve another committee still under the control of Rother’s Cabinet of a few - thus powerful councillors. So powerful indeed, that in recent years they have started ignoring the recommendations of their own committees and political colleagues. I suggest such options will do nothing to improve the services in Bexhill. The one option that has proved to work in the rural areas of Rother and throughout England for many decades is that of parish councils (or in a town - a town council). Such town councils become directly responsible for certain services and a separate ‘rate’ is raised to fund those services. Since those services are currently (inadequately) provided directly by Rother District Council - their share of the ‘community charge’ would be reduced as would criticism of Rother - both are very dear to the heart of Rother’s Cabinet. There would be no duplication of functions and a Bexhill Town Council could set its own (higher) standards of Bexhill service provision, certainly better than currently exist. My plea to your Bexhill readers who believe Rother Council does not reflect the needs of its Bexhill residents (as the parish councils in the rural areas try to reflect the needs of rural residents) - is to please contact Rother District Council within the consultation period, either by e-mail, via Rother’s website or drop a letter into Bexhill Town Hall (save a stamp) and express your own favoured option. This really is an opportunity of improving the services in Bexhill and with a majority Bexhill vote, should it be ignored by Rother’s Cabinet, this would then involve the Local Government Ombudsman.